DURHAM, NC — Divers Alert Network® (DAN®) is pleased to announce the selection of Daniel Popa, M.D., Ph.D., as the 2018 recipient of the DAN/R.W. "Bill" Hamilton Memorial Dive Medicine Research Grant. DAN established the award in honor of Bill Hamilton, Ph.D., a physiologist who conducted important research in decompression science, breathing gases and the effects of pressure. Each year the organization presents the $10,000 grant to a researcher studying decompression stress, models or procedures; mechanisms of decompression illness; dive computer effectiveness; or a similar subject. An experienced researcher and physician with training in emergency medicine, hyperbaric medicine and biomedical sciences, Popa is an emergency medicine physician at the University of California San Diego Medical Center and an adjunct professor of clinical epidemiology and research methods at the Universidad Marista de Merida. He has a Ph.D. in biomedical sciences from the University of California, San Diego and has previously conducted research in reducing the incidence and severity of decompression sickness in fishermen in the Yucatan, investigating signals in ventilatory acclimatization to hypoxia, treating acute mountain sickness with variable positive airway pressure and developing robotic training mechanisms to aid in spinal cord injury recovery. 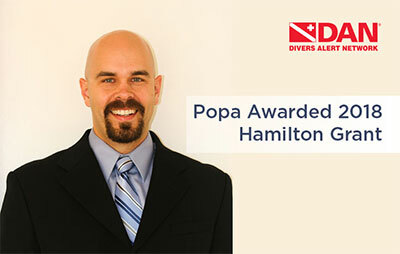 Popa will use the grant, which is funded by the DAN Foundation, to conduct research aimed at reducing the incidence of hypoxia in rebreather divers. Closed-circuit rebreathers (CCRs), which have become very popular in the past decade, offer significant benefits to divers but come with substantial hazards — hypoxia foremost among them. With this award, Popa will work on the identification of hypoxia signatures, reproducible and individualized symptoms warning of worsening hypoxia, in CCR divers. The primary goal of this research is to promote early recognition of symptoms among divers so they can remedy their situation and thus avoid injury or death. The study was designed to focus specifically on diver safety and aligns closely with DAN's interest in advancing diving science and promoting safety in the dive community. "I am honored and grateful to receive this award," Popa said. "I sincerely appreciate the dedication to diver safety that DAN has demonstrated with this support, and I hope we can make a real difference through this work. 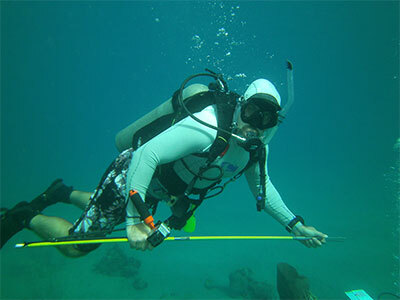 This grant provides a unique opportunity to delve deeply into a serious risk that divers face. I hope that with this work we will improve our understanding of the human body's responses to hypoxia and support training protocols and/or equipment designs that will prevent injuries and fatalities." For more information about the grant or to apply, contact GBroyles@DAN.org. 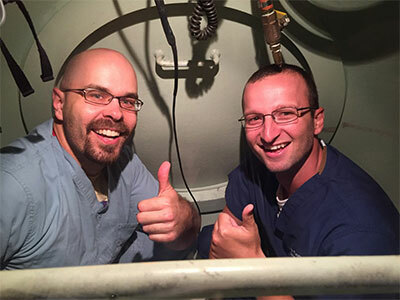 Applicants can be involved in any area of dive medical research, but the spirit of the program is to support initiatives closely related to Hamilton's work.